My twelfth stadium of 2011 was on Monday 28th February 2011 at Melbourne Stadium in Chelmsford, Essex. The match was Chelmsford City vs. Braintree Town in Conference South. Melbourne Stadium is located 1.7 miles from Chelmsford railway station on the northern outskirts of the town. 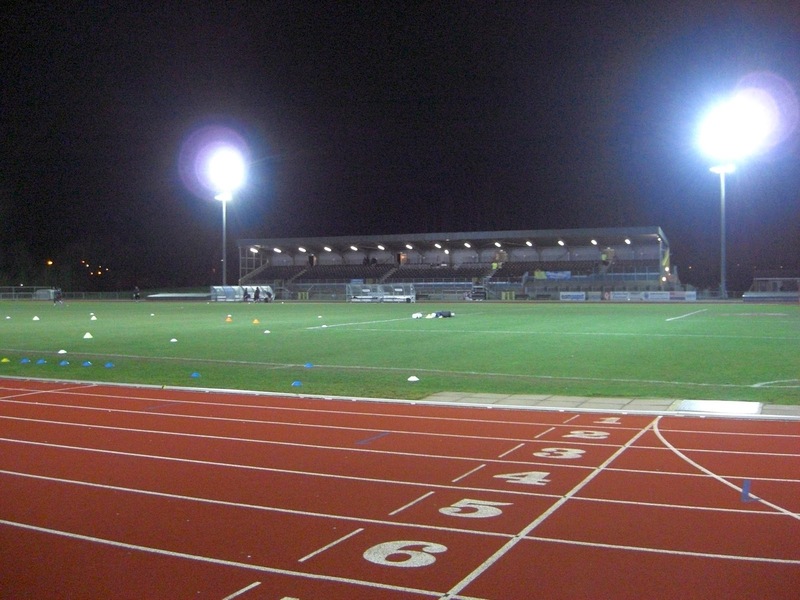 It has been home to Chelmsford City since 2006, when they finally returned to the town after a nine-year absence groundsharing with other local teams. The stadium is an athletics venue with a running track round the outside of the pitch. Running alongside the west side of the pitch is the Athletics Stand. This consists of 265 seats which are placed directly in front of the athletics building. 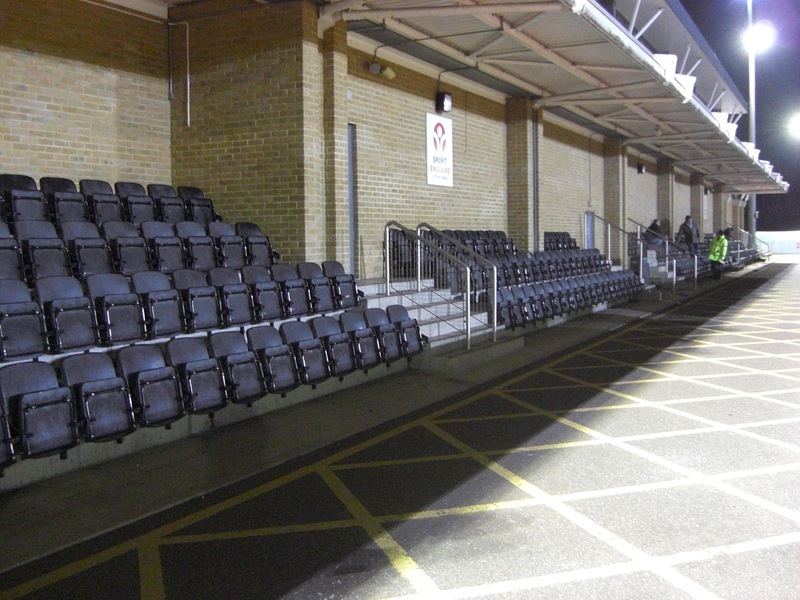 On the opposite side of the pitch is the Main Stand, an all-seater stand with a capacity of around 1,000. The Main Stand also has a standing area located directly in front of it. There are standing terraces behind both goals and as these are on the grass in front of the running track offer the closest views of the action. When I went to the venue both terrace sections featured uncovered standing on a raised platform but since my visit the club has created a covered terrace section behind the goal at the northern end of the ground. The area behind the goal at the southern end of the ground remains uncovered. The game was not a good one with few chances carved out by either team as it become apparent that both sides were desperate not to lose to their Essex rivals. No goals were scored on the evening, and it became bad-tempered towards the end as Braintree were reduced to ten men after one of their players hit a Chelmsford player in the face. At the final whistle the two sets of fans got aggressive with each other and police had to hold back the Chelmsford fans in the Main Stand to avoid confrontation. When they did let them out a few scuffles developed in the car park so a disagreeable night of football ended on a sour note.